Lol, just kidding. 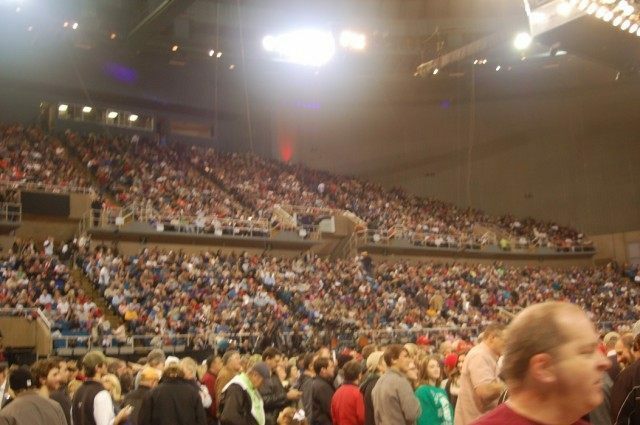 Here are some pictures of the actual event. 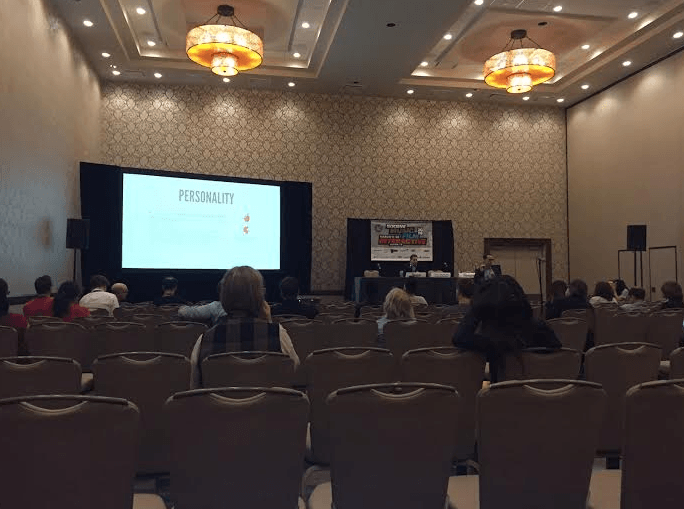 Remember #levelup panel, cancelled by #sxsw and then reinstated? It's not drawing a big crowd #onlineharassment Find a story about this on 512tech.com. Five minutes before start, attendance at the first three #sxsw Online Harassment Summit panels. Find a story about this on 512tech.com. 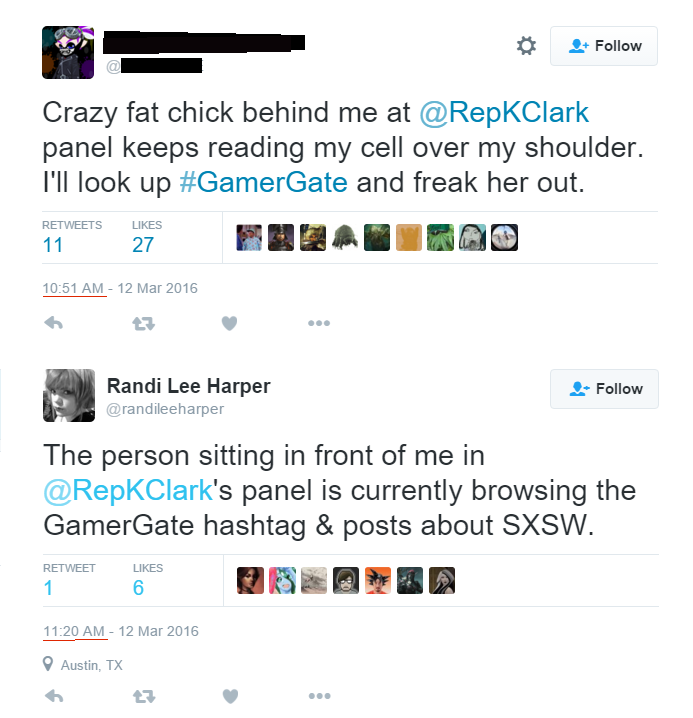 Serial online abuser Randi Harper, a particularly ironic supporter of the event, spent much of her time anxiously glancing at other people’s phones, looking for GamerGate-supporting spies. One nefarious troll decided to exploit this, with flawless success. In other news, mad social justice warrior Brianna Wu thinks I’m at SXSW (I’m in Alaska, dummy!) and is very, very concerned. I can still strike fear into the hearts of SJWs, even when I’m four thousand miles away!